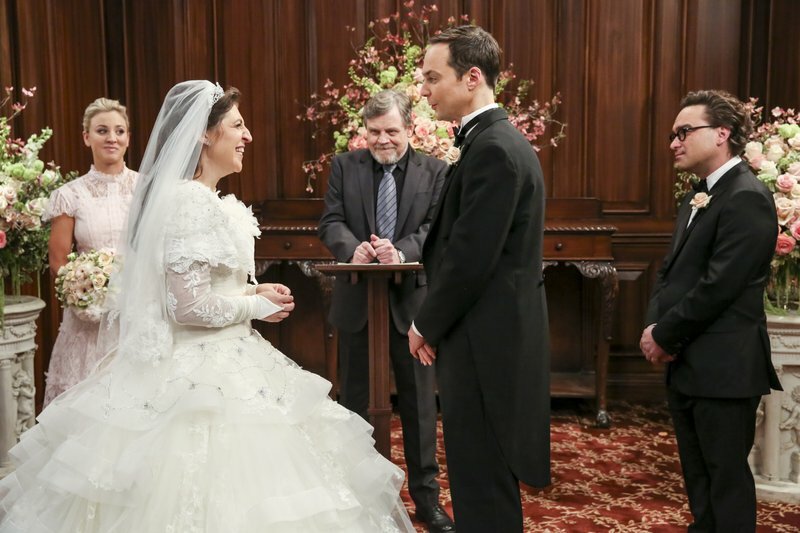 On the comedy “The Big Bang Theory,” Sheldon and Amy’s characters tied the knot, while Pauley Perrette’s character, Abby, signed off from “NCIS” after a decade and a half with the drama. Both programs reached more than 15 million viewers last week, well above any other show on the air, the Nielsen company said. With the television season coming to an end — and networks presenting next season’s schedules to advertisers in New York this week — broadcasters ran almost exclusively original programs last week. ABC’s “World News Tonight” topped the evening newscasts with an average of 7.6 million viewers. The “NBC Nightly News” had 7.4 million and the “CBS Evening News” had 5.6 million. For the week of May 7-13, the top 10 shows, their networks and viewerships: “The Big Bang Theory,” CBS, 15.51 million; “NCIS,” CBS, 15.09 million; “Young Sheldon,” CBS, 12.45 million; “Bull,” CBS, 11.78 million; “Roseanne,” ABC, 10.3 million; “Mom,” CBS, 9.08 million; “Blue Bloods,” CBS, 8.88 million; “60 Minutes,” CBS, 8.65 million; “American Idol” (Sunday), ABC, 8.53 million; “The Voice” (Monday), NBC, 8.38 million.